The Brainwave Entrainment Audio contained herein is for tapping into the Might and strength of Hanuman. The frequency used is Gamma with a musical accompaniment, which will put you in the proper mindset to tap into his power. 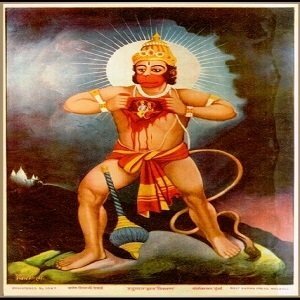 Hanuman is one of the most powerful Gods of the Hindu Pantheon. People call upon him to bestow upon them strength and courage. With him, all things are possible. This audio will help you tap into his power.